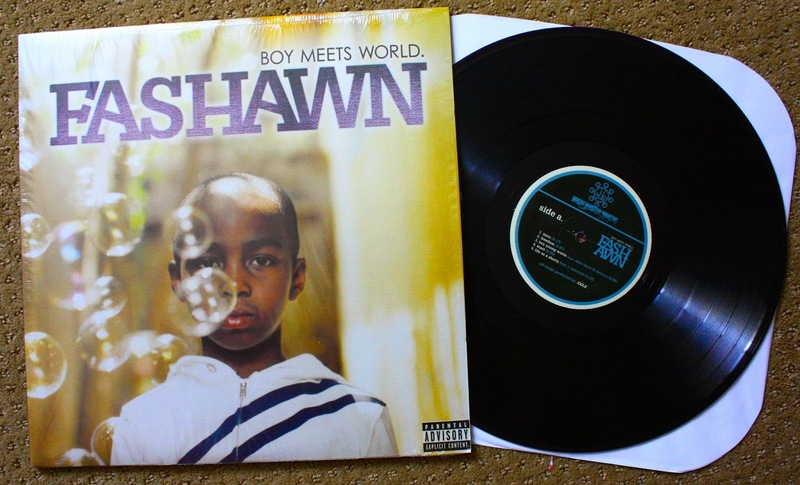 Here we have one of the best rap records from 2009, Fashawn's "Boy Meets World" LP. This is an excellent album and to this day is still Fashawn's crowning achievement. The entire album was produced by Exile, so all the instrumentals are fantastic. Fashawn has a unique Fresno style and is far from gangster, but is more inline with a backpacking skateboarder. However, this record does discuss some pretty heavy stuff. One track that always makes the hair on the back of my neck stand up is "When She Calls", a track about his friend committing suicide with the lyrics reading like a devastating suicide letter. However, my two favorites are "Our Way" and "Sunny CA", two classics. I've seen Fashawn live a few times and he always kills it. I chatted with him for a few minutes when I saw him in Santa Cruz and he was a super cool laid back guy. I look forward to his sophomore album ("The Ecology") to be released sometime this year. This version is on purple vinyl. 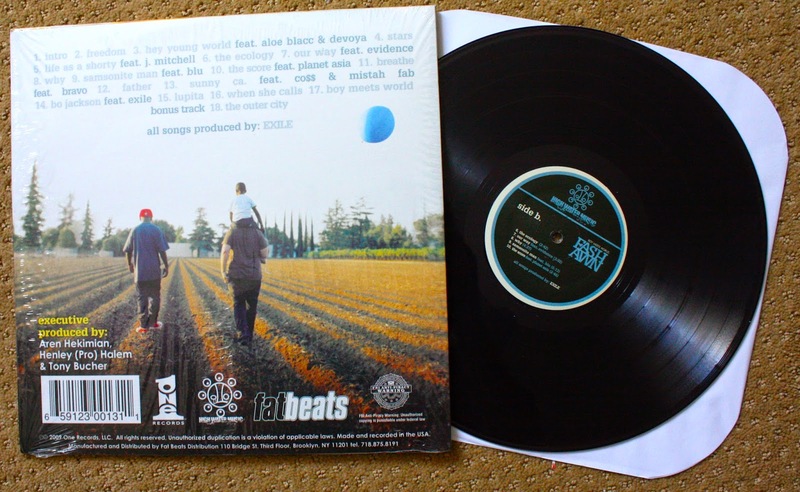 If you haven't heard this record, I suggest you track it down ASAP. Check out "Our Way" featuring Evidence. Check out "Life as a Shorty". Just checked out 'our way' it's the jam Cuz!